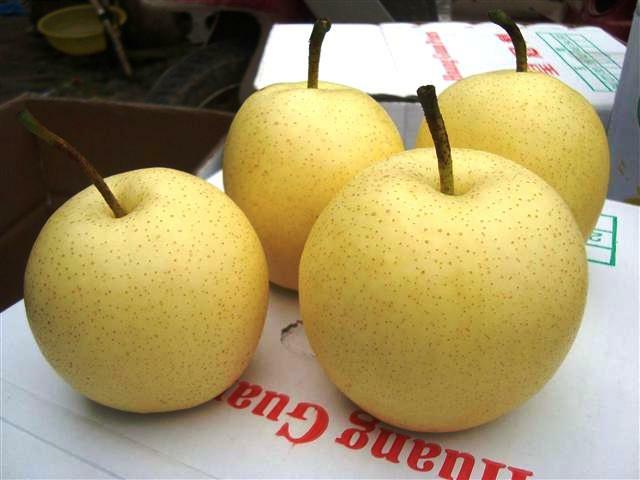 Remarks: There are “light” and “dark” skinned varieties of apple pears. Light varieties have more flavor and a thinner skin; dark varieties are generally less desirable, but hold up much better on display. They break down quickly once their protective wrapping is removed; which serves the dual purpose of preventing the skins from discoloring and rubbing against each other. Displaying: Always dummy displays, shrink will be brutal otherwise. 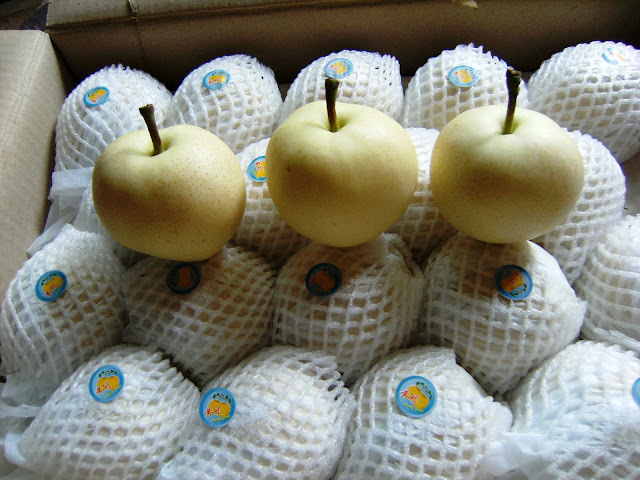 The protective wrapping should only be removed from the top layers or displayed single layer in trays (dummied underneath). 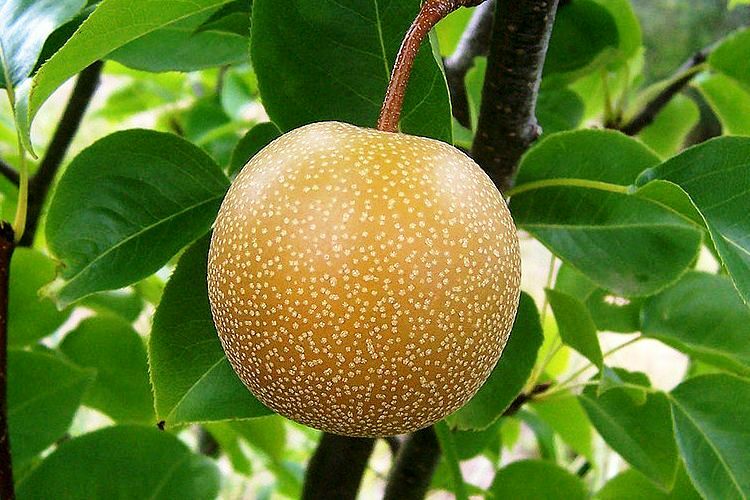 Handle gently and turn fruit sideways to prevent stem punctures. Sampling will increase sales. 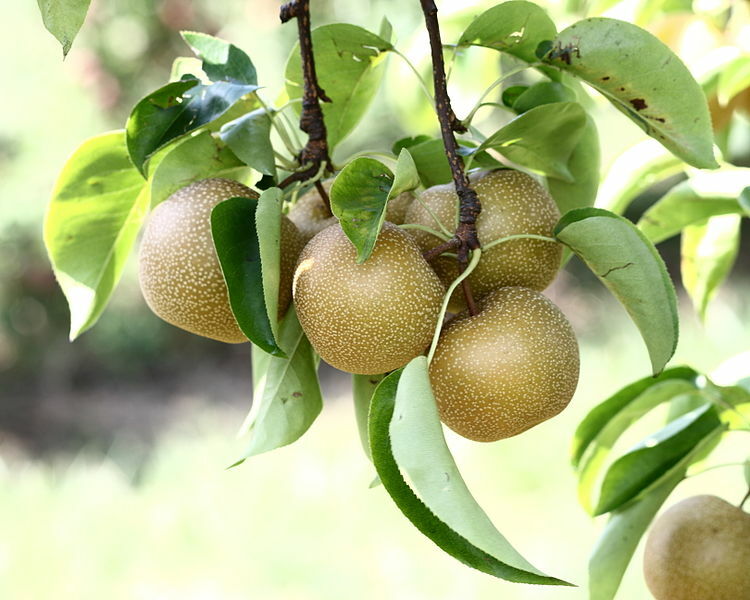 Cull soft, bruised fruit, bag up and sell at a discount or use for samples. Throw out decayed fruit. Receiving: If available, check the Lot Number, Grower Number and Packing Date on the boxes. Open boxes and inspect the fruit. Stems should be green or brown, not black or shrivelled. Look for bruises, decay and mold. Firmly press your thumb against the surface for excessive softness. 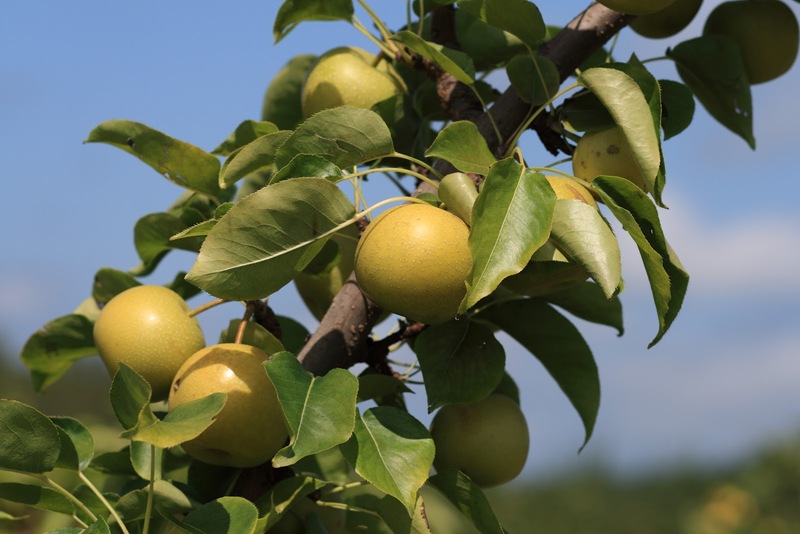 Reject soft fruit and shipments in general with an accumulation of more than 10% defects.